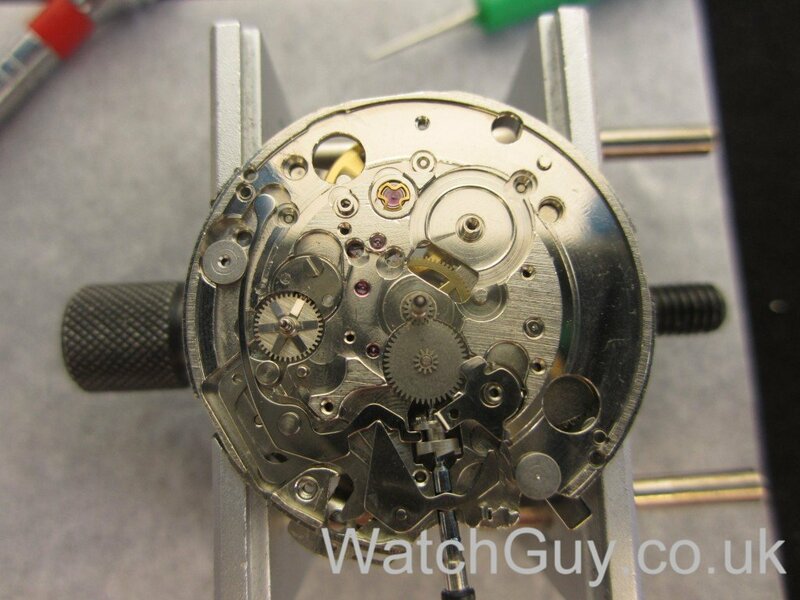 What do you look for in a chronograph watch? For me, size is a big issue, as I have a tiny wrist. 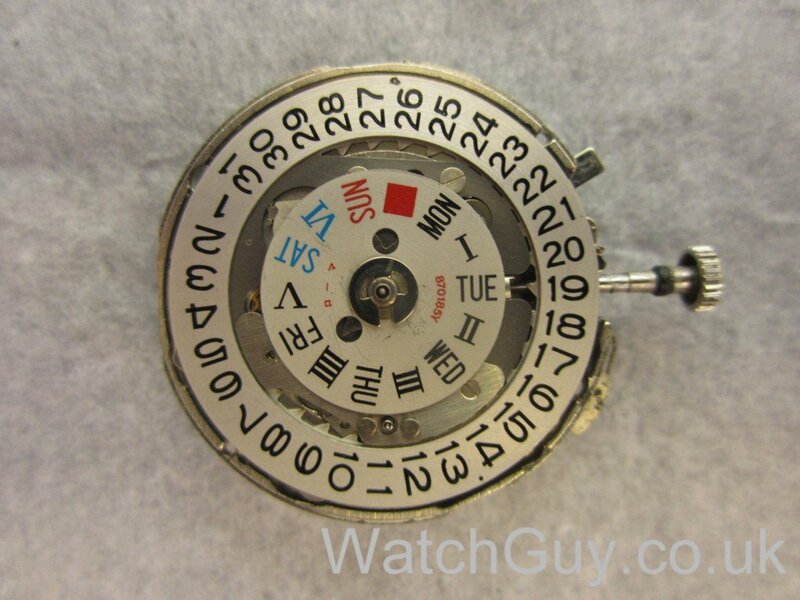 On top of that, I like a date on my watch, and of course an hour recorder. Also, I like automatic watches, and a fly-back might be nice … With all those requirements, I’m moving swiftly into the £5,000 range of chronographs. 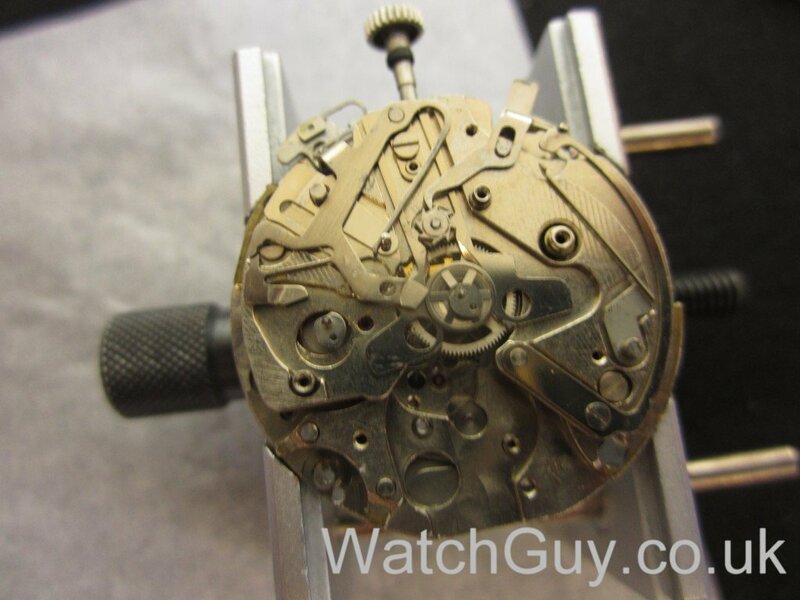 Few will have those functions (Zenith 400Z, …), and the size requirement is out of the door. Enter left the Seiko 7016-nnnn series. They come in many case shapes and sizes (Monaco style square cases, etc. ), but for me, it’s the 7016-800n that appeals to me. 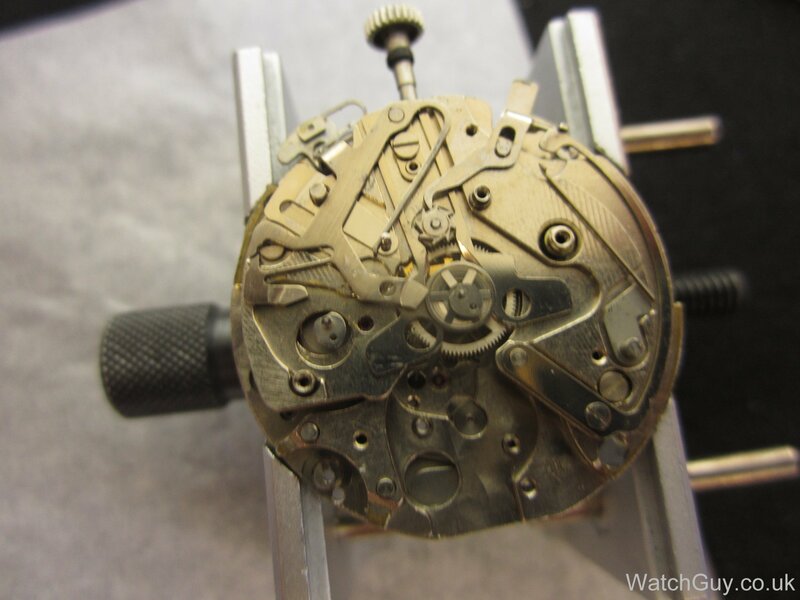 Lovely dial, and 37mm width including the crown (which is sunken). 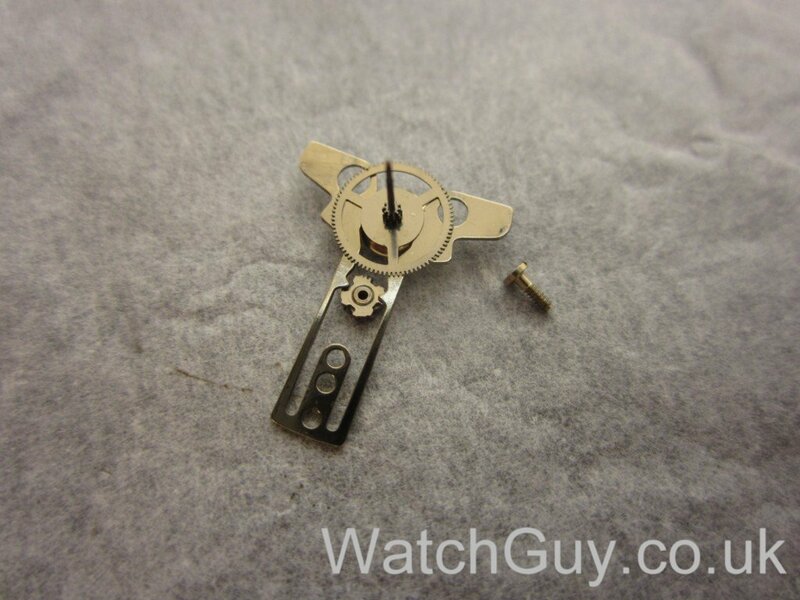 How did Seiko fit all that functionality in such a tiny movement? Here is the little wonder that is the 7016A. Day, date, automatic, fly-back, and an hour and minute recorder in co-axial arrangement. There are of course the other typical Seiko features, e.g. the auto winder which isn’t the most elaborate construction, and the lack of manual winding (which would destroy the auto winder, so you just can’t wind it manually). 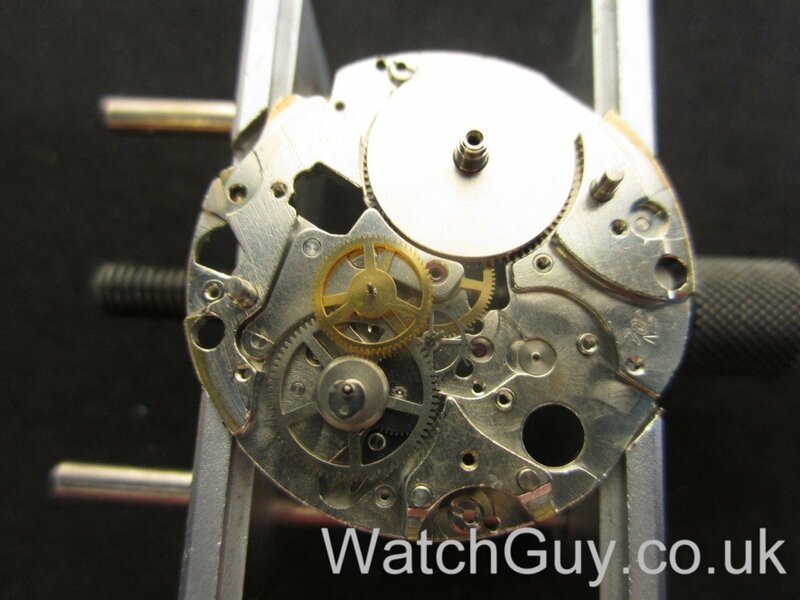 This isn’t a big problem, as the auto winder works well and reliably. The bottom plate with day and date disc. The secret ingredient here is a vertical clutch, which saves a lot of space. The vertical clutch on the central chronograph runner / fourth wheel. 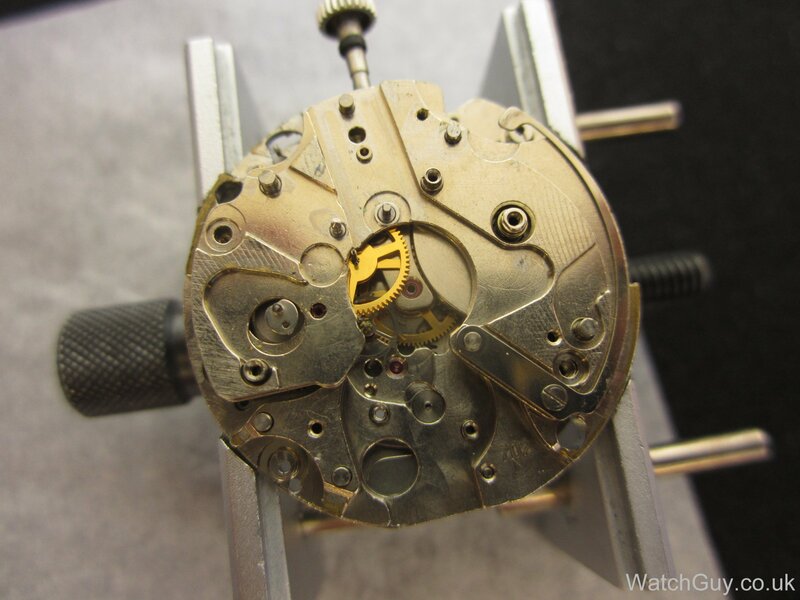 Chronograph layer removed, and the gear train below an intermediary bridge. 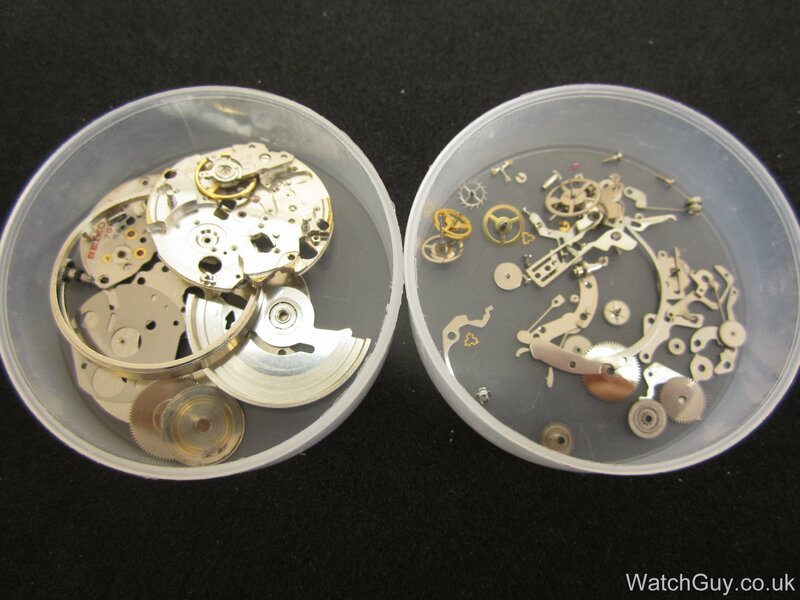 Considering the amount of complications, there aren’t too many parts. Sign of good engineering, I’d say. The gear train, with the minute recorder at 7 o’clock. 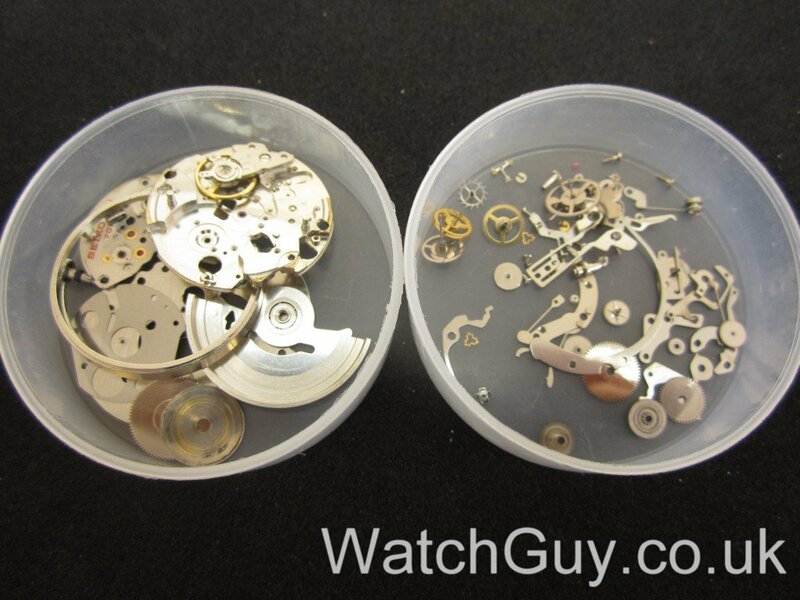 The chronograph layer comes back together. 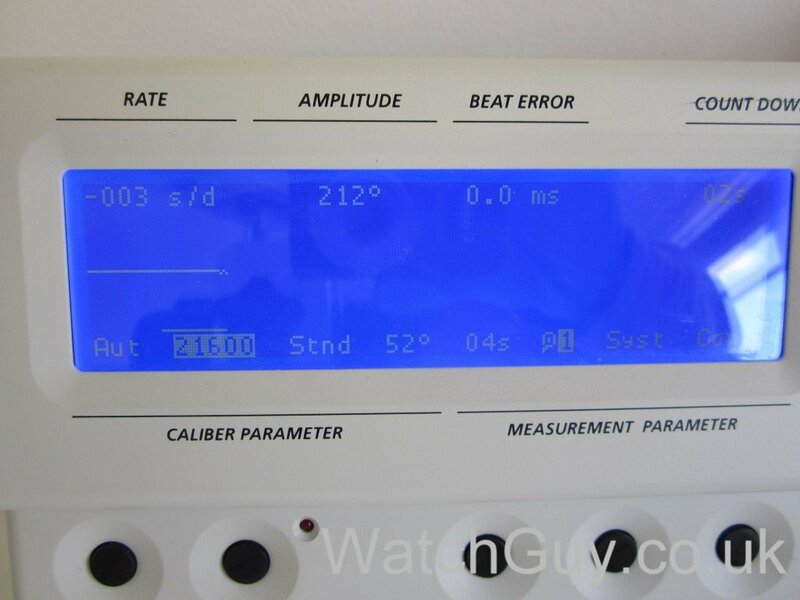 No great amplitude, but that’s Seiko for you. 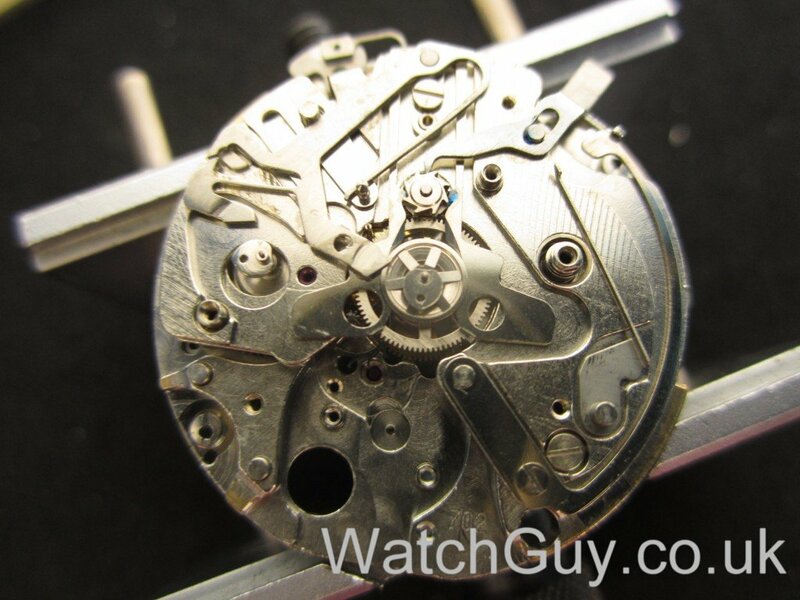 The performance of the movement is very good though when worn. The bottom plate with co-axial hour and minute recorder, and quick-set day and date. Back together and awaiting dial and hands. We all know what that would cost in a higher-end brand watch, so this is incredible value for money. Plus there is no other watch with those features in that size. The movement is of course a Seiko movement, with the usual finishes etc. But who cares? 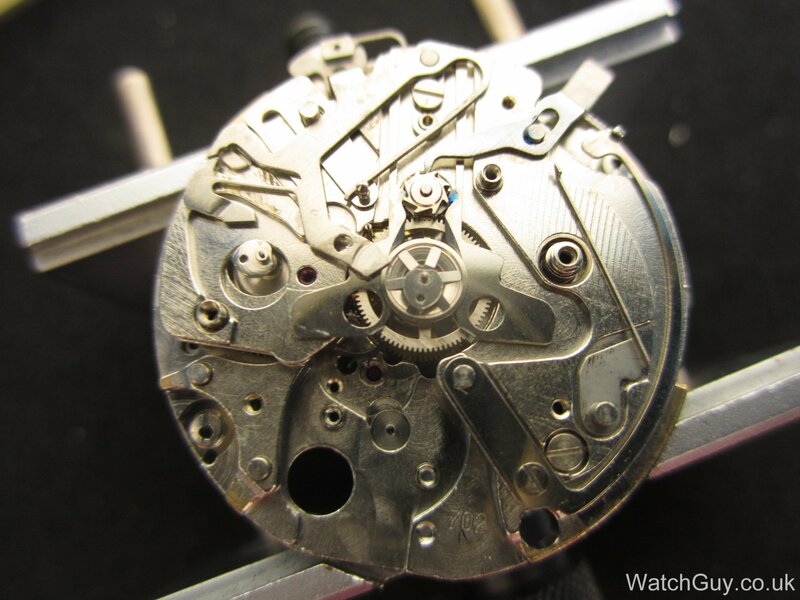 It performs very reliably and well, and that’s more that can be said of other high-end chronograph movements (if you have seen past posts about the self-eating Zenith movements for example). Food for thought! 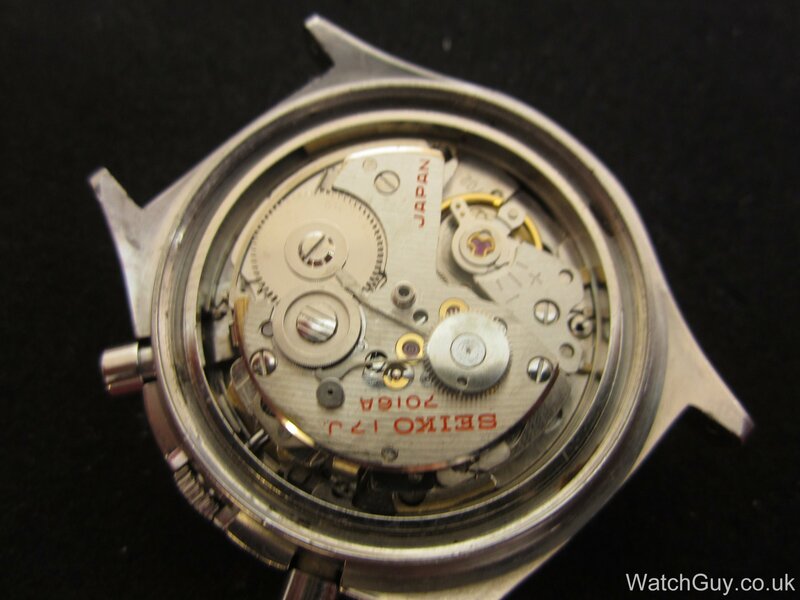 This entry was posted in Japanese, Wrist Watches by Christian. Bookmark the permalink. 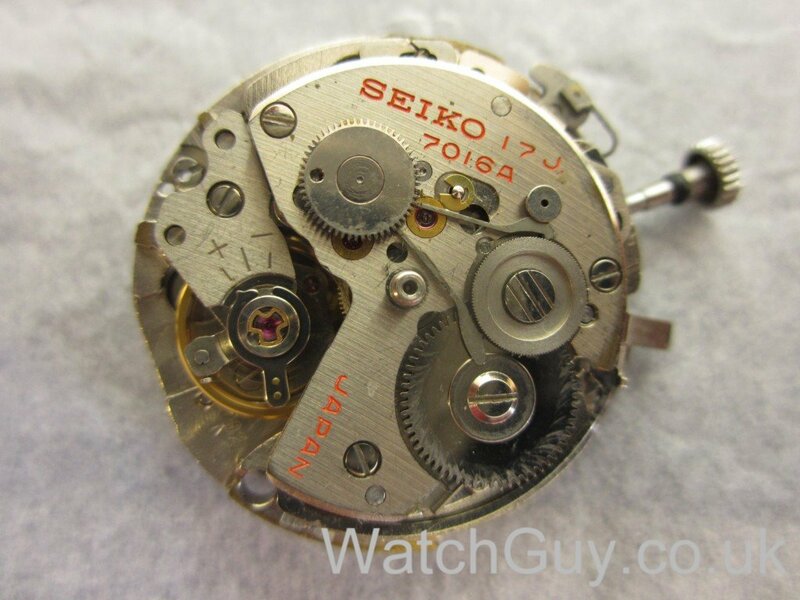 I have heard recommendations in forums to leave the vintage chronographs with vertical clutch running most of the time to prevent wear and tear, specifically the Seiko 6139/8 and Citizen 8110/8100 models. Why is this so? Won’t leaving it running most of the time result in even more wear and tear? That makes no sense at all. What people might mean is to have the watch running with the chronograph engaged when wearing it. Sorry that’s what I meant. To leave the chronograph engaged while the watch is running. Great. Thanks for the clarification! I too have a thing with Seiko watches. I love the fact that they are not very expensive, reliable and the enormous range to choose from. 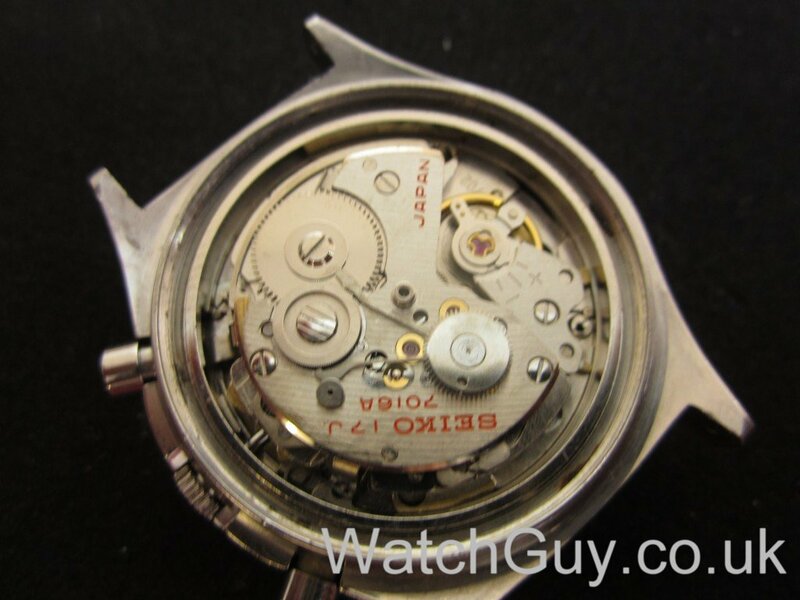 I think the only other movement to match the above, and perhaps at an even lower price, is the Citizen 8110. Japanese as well! 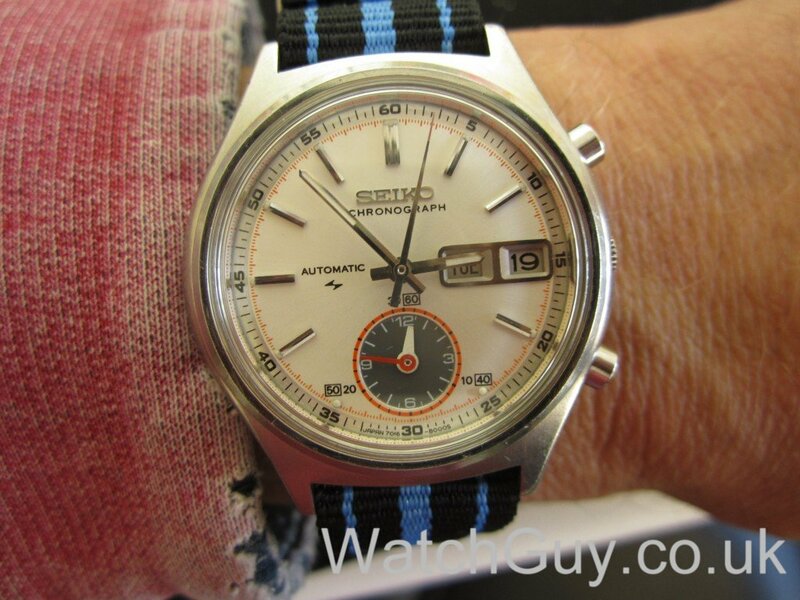 I used to own an orange dial “bullhead”. Cool watches! 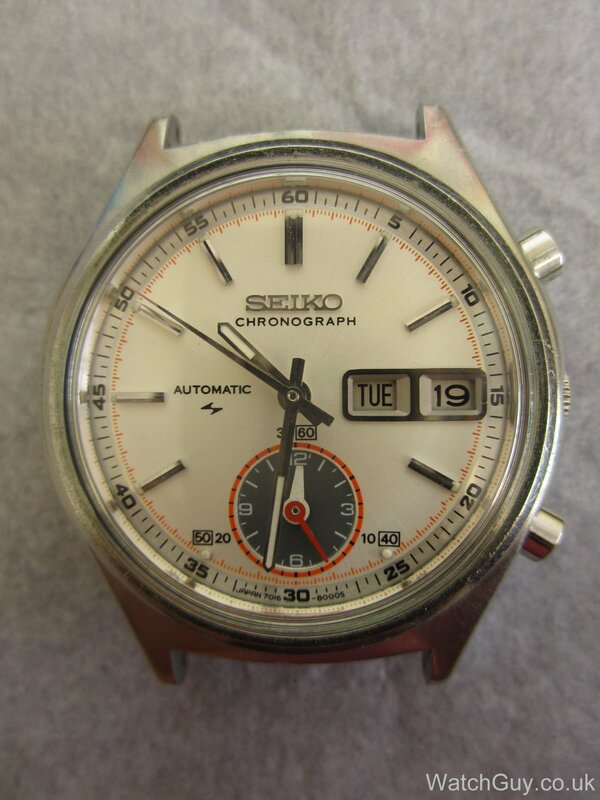 I also have a soft spot for Seiko, and recently purchased a 6139-7100 “White Helmet” that dates from 1977. A beautiful and very distinctive watch. 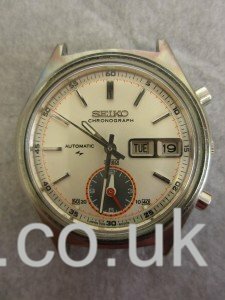 With the massive push on “in house movements” in some parts of the industry, it’s worth remembering that all Seiko’s are in-house, and vintage ones can be such good value. 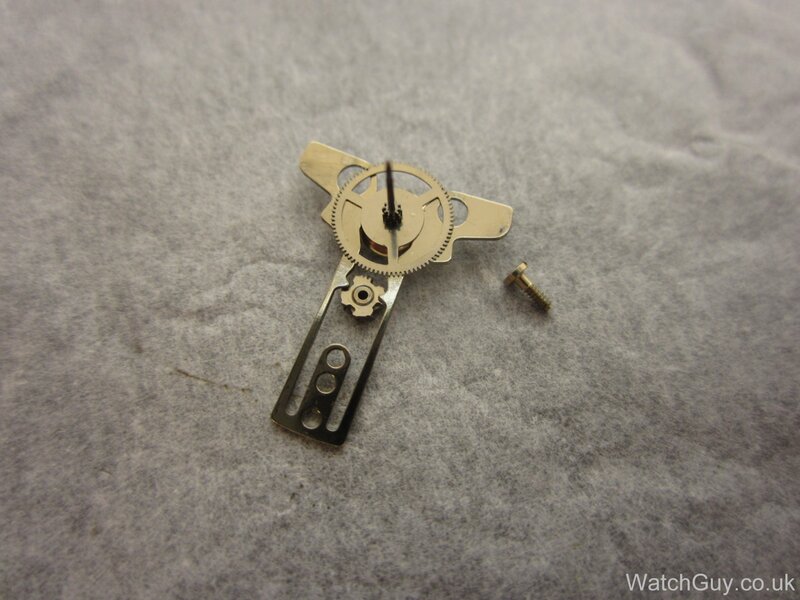 Also, as the Swiss industry is withdrawing parts availability to the general market, the Japanese makers like Citizen (Miyota) and Seiko make their movements and parts widely available, to the point where they have essentially become the de facto movement suppliers for 99% of micro-brands globally, even as they offer performance (if not finish) comparable to what the Swiss produce. They sure didn’t spend much time on the finish but to paraphrase “better to work well than just look pretty”. Thanks for bringing us these rare and interesting watches and letting us look “inside”. I have a soft spot for Seiko watches. Thanks for sharing this one. One question..what’s up with the roman numerals on the day wheel? An alternate option for the non-English speaking market? Yes, many of the Seikos of the era have English and an alternative on the day wheel. 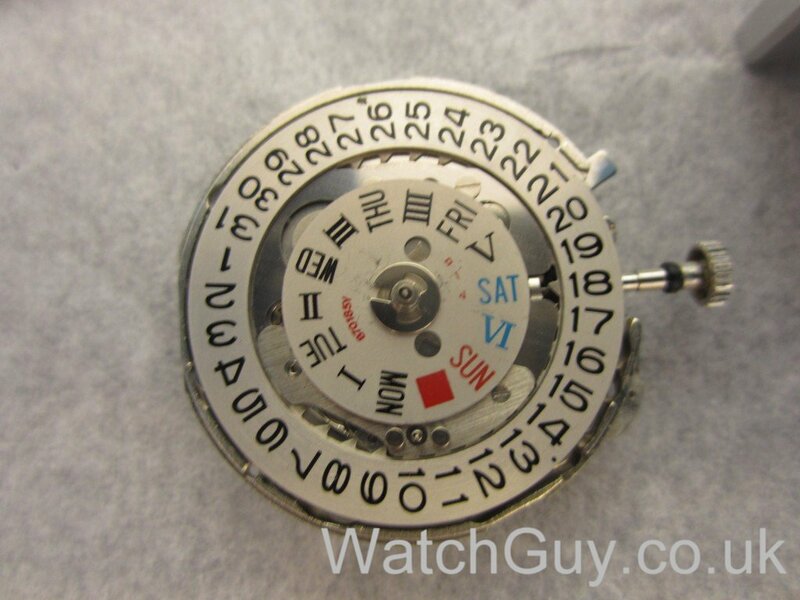 The alternative could be Spanish, French, Japanese kanjis, German etc depending on the region the watch was to be sold in. Where there is no logical second language (Australia for example), it seems to be common for Roman numerals to be the secondary “language”. That’s the theory anyway.